Yesterday dream pop quartet Black Honey released their new single ‘Midnight’, the third taken from their highly anticipated upcoming self-titled album. ‘Midnight’ follows on from May’s ‘Bad Friends’ and June’s ‘I Only Hurt The Ones I Love’. In ‘Midnight’, sassy verses are met with falsetto choruses, alienating electric guitar solos and rumbling basslines that shake you to the core, making this one of their strongest releases over their four years as a band. It strays from their usual eerie shoegaze sound heard in their previous singles, feeling more like grunge plus electropop then times by disco. While ‘Bad Friends’ has a more mellowed drum and bass vibe with fast-paced percussion and ‘I Only Hurt The Ones I Love’ is more indie-grunge, this track is more of a stomping dance ballad. The album is due for release on 21st September, and you can preorder it here. 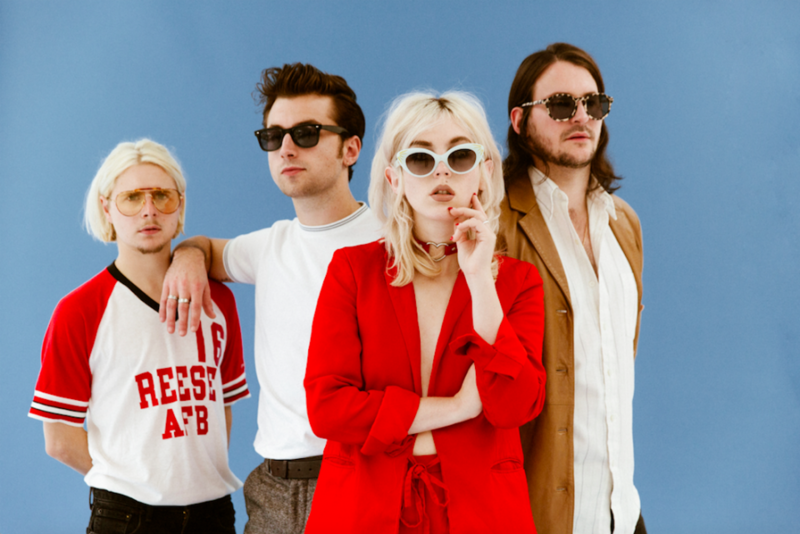 To be one of the first people to see this future hit played live, catch Black Honey on RiZE’s mainstage on Saturday 18th August!